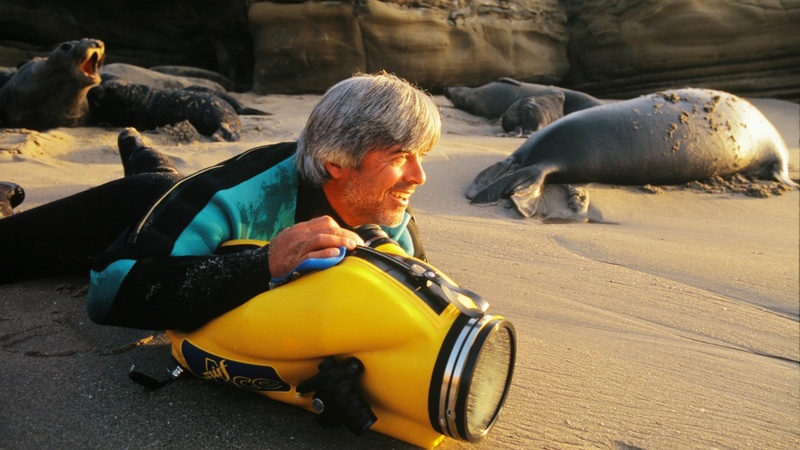 Mike deGruy films sea lions on a beach in 1997 during an El Niño. Photo courtesy of Mimi deGruy. A new documentary at the Santa Barbara Film Festival tells the story of local resident and beloved ocean filmmaker Mike DeGruy, a man who explored our world’s oceans and brought the deep sea to life through film. In 2012, deGruy died tragically at age 60 in a helicopter crash in Australia while filming for director James Cameron. Told through the eyes of his wife and filmmaking partner, the film celebrates deGruy’s life, career and what he passionately believed: we are destroying the ocean before we even know what’s there. 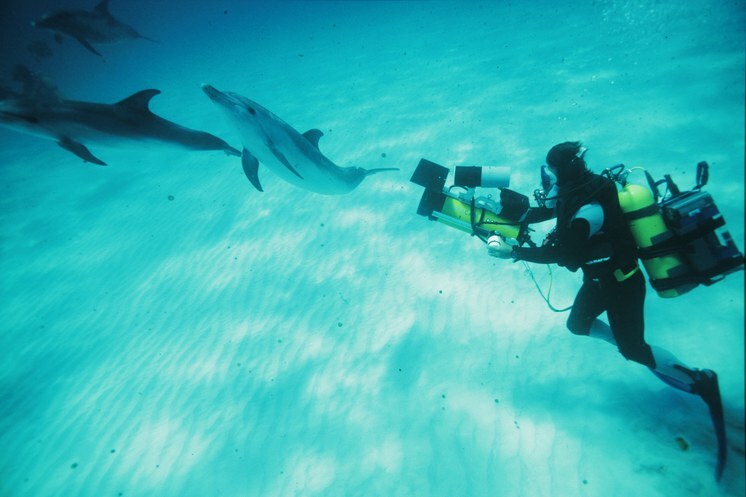 Mike deGruy filming dolphins underwater. Mike and Mimi deGruy filming stingrays in Mexico in the late 1980s. Photos courtesy of Mimi deGruy.